First and foremost choose a date to conduct your open house that does not conflict with events being held in the community or neighborhood, holidays, or major sporting events. Scheduling the very best date for a potential open house varies from different communities and the best day of the week can easily be found out by investigating local newspapers or advertisements that have open house sections. Requesting their opinions is a great way to get professional knowledge and experience from those that consistently familiarize themselves with the community’s open houses. Researching information on the best days to conduct open houses can be critical to a successful open house and can make all the difference. Everyone wants to know what the key to success is… Well guess what – it’s not just luck. Successful agents follow successful practices. No one can just be successful, you need to set an objective and work toward it. It’s all about attempting and failing until you get it right. As we’re sure you’ve heard, “Content is King”, has become the new catch-phrase for the marketing industry. Google search has updated its algorithm to search content over tags and people are becoming more interested in the conversation than the bullet points. Yes, this may be true but it has led to a large influx of “blah, blah, blah” branding. Our point is… if you want your content to stand out, you need to tell a story. And your content is your business – selling real estate! Do you ever wonder where Mel Gibson or James Cameron go to escape the hustle and bustle of Hollywood? 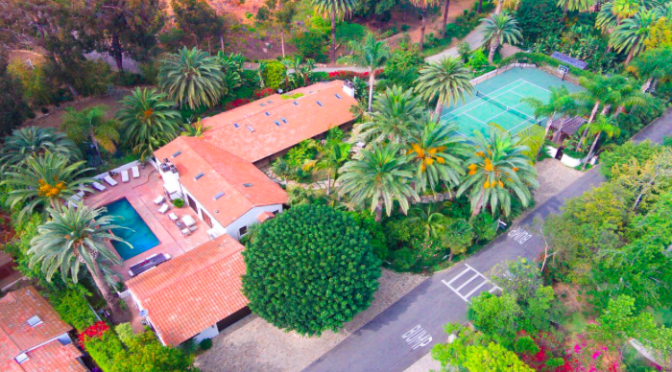 Just inland from the famed Surfrider Beach and iconic Malibu Pier is a special neighborhood called Serra Retreat, a pocket of perfection and privacy away from the crowds of Los Angeles, but still within walking distance to shops/restaurants and the beach.